Two weeks until Christmas. It's a thought that stirs hope in children and teenagers, one liable of piquing anxiety in parents. There is, of course, so much yet to be done! Shopping, end-of-year deadlines, travel arrangements, wrapping, hiding gifts, cleaning the house, buying and preparing family meals, hosting guests...Advent, the season when we are called to prepare for the Lord's coming, seems more often to be the season of our mad rushing and running about. What is the status of your heart, your "inner home"? I think many of us would prefer not to say because our hearts are very messy and rather cluttered. And yet it is no small part of the Good News of the Gospel that the Lord, who was born into pretty wretched conditions, not only is willing but actually desires to be born again and again in your heart. Be warned: this Jesus fellow is a funny sort of house guest. Should you muster up the courage to answer the door, to trip over the debris strewn across your heart's floor as you fumble with the latch, he'll step in and and quickly make himself right at home. He's a bold guest in this way: without hardly a word, he'll begin to do the cleaning, to buy and re-arrange furniture, to upgrade the houses' wiring, and basically renovate his new home. This isn't because he's a snob or snoot but because he is only too happy to take up residence in any available heart, any available space, willing to have him. He's not remodeling the house in order to flip it for a profit. He's remaking it because he loves you and this is his gift for you: a new home, a new heart. It's probably much easier, in our busy lives, to pray for things that will, in all likelihood, resolve themselves: Christmas dinner will be fine, the kids will have a great Christmas, your mother--in-law won't be the demon you fear. 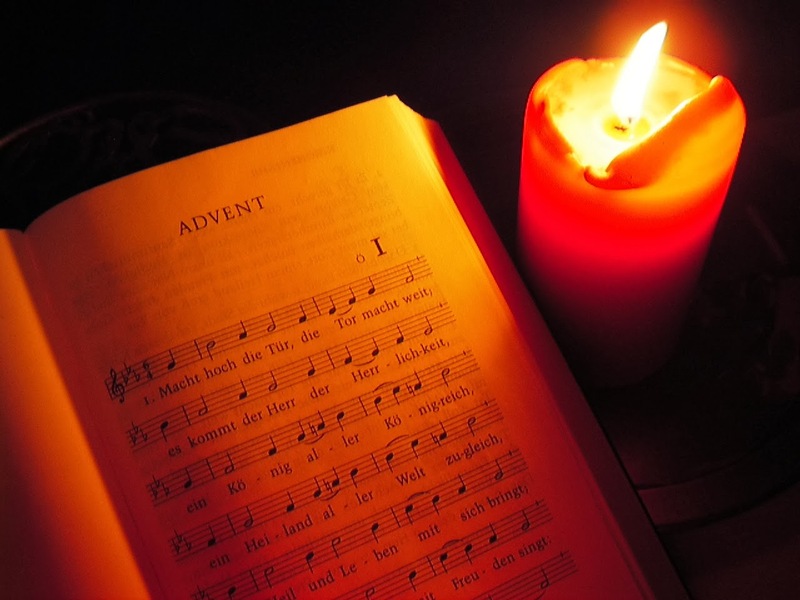 It's far more difficult to muster up the courage to pray Advent, to pray, "Come, Lord Jesus." For this Jesus shows up with blueprints and ideas for us we may not at first understand, with paint samples and design schemes for our hearts that frighten us. And yet, in the business and rushing of our lives, today's Gospel breaks in upon us: Jesus doesn't issue a new deadline, a new demand, but simply an invitation: be with me, let me take control, and I'll bring to you peace. Have we the courage to pray the great prayer of Advent, the prayer that risks more than we can imagine: Come, Lord Jesus!